Author Christopher R SmithPosted on November 15, 2017 January 20, 2018 Categories Redemptive HistoryLeave a comment on Did God forgive Adam and Eve for eating the forbidden fruit? Author Christopher R SmithPosted on October 5, 2016 January 20, 2018 Categories Redemptive HistoryLeave a comment on Was Adam saved? What is the relationship between the Mosaic covenant and the new covenant? Q. Your most recent post comparing the God of the OT and NT made me think of a question. What do you see as the relationship between the Mosaic covenants and the new covenant? As far as I can tell from Jeremiah, the new covenant has the same information, it is just that all the previous terms of the Biblical covenants were written on stone and scrolls, where in the new covenant, they will be written on one’s heart. Therefore the new covenant will be better, as we will want to do the stipulations in it. I think this is basically right. The covenant with Moses had some things that I believe were identity markers for God’s people at the time, such as keeping kosher, observing certain days, etc. The New Testament makes clear that these are no longer obligations for followers of Jesus. But certainly the ethical imperatives of the covenant, summed up by Jesus as “love the Lord your God with all your heart, and your neighbor as yourself,” remain. As you say, under the new covenant, we now want to fulfill them, as we are given new hearts. Our identity markers as covenant people are love, joy, peace, patience, kindness, goodness, faithfulness, gentleness, and self-control—the fruit of the Spirit. As I believe you’re saying, when seen from the perspective of the character and actions that God wanted to produce all along in His people, there is more continuity than discontinuity between the Mosaic covenant and the new covenant. Author Christopher R SmithPosted on August 26, 2016 January 20, 2018 Categories Redemptive History12 Comments on What is the relationship between the Mosaic covenant and the new covenant? Did God become more merciful after being human in Jesus? Q. For years I’ve been struck by the stark contrast between how God’s judgment is portrayed in the Old Testament and how it is portrayed in the New Testament. Even before Jesus’s death, God seems to have a gentler spirit with his people. I pondered this for a long time but never came up with an explanation that seemed to make sense until the other day. Let me run a hypothesis by you. Do you think God changed after Jesus walked on the face of the earth, because he experienced first-hand some of the struggles we face? This may seem like a pretentious suggestion, and I really don’t mean any disrespect to our sovereign God who created the universe and is all-knowing. But I do see a an inexplicable difference between the Old and New Testaments. Would love to hear your thoughts. I think you may actually be on to something here, but let me offer a couple of qualifiers first. We should observe, for one thing, that God actually shows mercy as well as judgment towards people in the Old Testament, and judgment as well mercy to people in the New Testament. For example, there’s a beautiful passage in Hosea that speaks of God’s love for the wayward nation of Israel: “Therefore I am now going to allure her; I will lead her into the wilderness and speak tenderly to her. . . . I will betroth you to me forever; I will betroth you in righteousness and justice, in love and compassion.” And then there are the words that open the second part of the book of Isaiah: “Comfort, comfort my people, says your God. Speak tenderly to Jerusalem . . . He tends his flock like a shepherd: He gathers the lambs in his arms and carries them close to his heart; he gently leads those that have young.” And so forth, in the Old Testament. On the other hand, in the New Testament, along with all the grace and mercy, we find passages like this one in 2 Thessalonians: “God is just: He will pay back trouble to those who trouble you . . . This will happen when the Lord Jesus is revealed from heaven in blazing fire with his powerful angels. He will punish those who do not know God . . . They will be punished with everlasting destruction.” Even from the lips of Jesus himself we hear things like this, spoken to the Pharisees: “You snakes! You brood of vipers! How will you escape being condemned to hell?” (I won’t even get into all the plagues and destruction in the book of Revelation.) So it seems there’s plenty of both mercy and wrath to go around in each testament. Still, we have the impression that there’s more wrath in the Old Testament. What creates that impression? For one thing, in that period God was using the law to govern His relationship with His people. The New Testament itself says that the law has a positive purpose, to restrain and to teach. But laws need to specify what the consequences will be if they’re broken. That’s one reason why we hear so much about punishment in the Old Testament. One more consideration is that the Old Testament is the story of how the original chosen people kept disobeying the covenant through which they were supposed to be God’s instruments to reach the rest of the world, and how they needed to be corrected as a result. Ultimately, a new kind of covenant was promised. The New Testament is the story of how Jesus came to earth to live out perfect obedience, inaugurate that new covenant, and fulfill the intentions of the original covenant, to bring all peoples in. So the story of disobedience in the Old Testament is going to feature a lot more judgment and punishment than the story of obedience in the New Testament. It’s not so much God’s “learnings” as a human being that lead Him to be more merciful in the New Testament as the unfolding of a plan by which God, in Jesus, supplies the obedience that He was looking for from humans all along. This seems to suggest that there was some kind of “learning” as a human being on Jesus’ part that has resulted in Him being a more effective intercessor for us in heaven. Should we therefore conclude that when Jesus intercedes for us, since God is talking to God (that is, God the Son is addressing God the Father), God is now more able to “sympathize with our weaknesses” in His own self-reflections? If so, this would reflect no prior deficiency in objective knowledge on God’s part, but rather a gain in God’s subjective or experiential knowledge. It makes sense to me, at least, that even if God knew everything from the beginning, He hadn’t necessarily experienced everything. Something to think about, anyway! This would not account for any difference in God’s dealings with us “before Jesus’s death,” however, because Jesus had not yet taken His place back in heaven as our intercessor at that point. So I wouldn’t appeal to this to explain how justice and mercy work in the Old and New Testaments. But I would still marvel, and worship, at the thought that Jesus came and shared our humanity to such an extent that He could bring an experiential appreciation of it back to share with the Father in heaven. I don’t know that this has necessarily changed God’s character, to make Him more merciful. 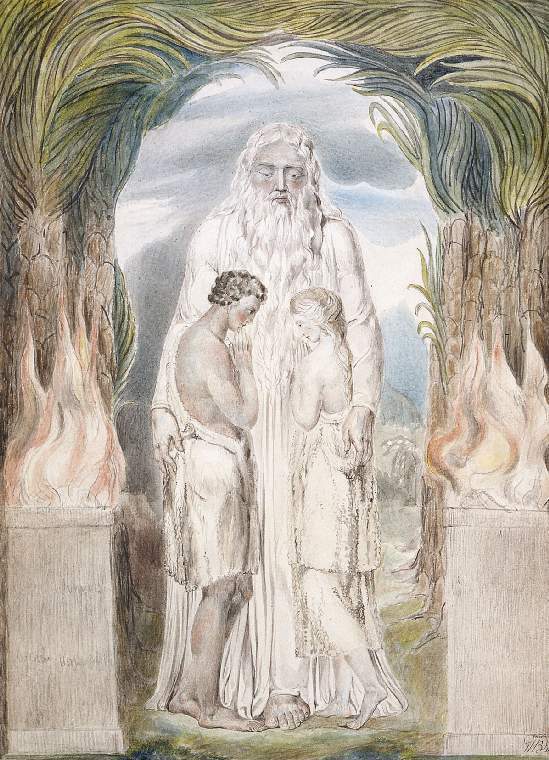 Even as God is first giving the law through Moses, He describes compassion as His primary and outstanding characteristic, at length, before describing justice as well: “The Lord, the Lord, the compassionate and gracious God, slow to anger, abounding in love and faithfulness, maintaining love to thousands, and forgiving wickedness, rebellion and sin. Yet he does not leave the guilty unpunished . . .” Still, I recognize that God in His graciousness has identified with us in an amazing way through Jesus, and this must give a very special quality to His compassion. Author Christopher R SmithPosted on August 26, 2016 January 20, 2018 Categories Redemptive History2 Comments on Did God become more merciful after being human in Jesus? 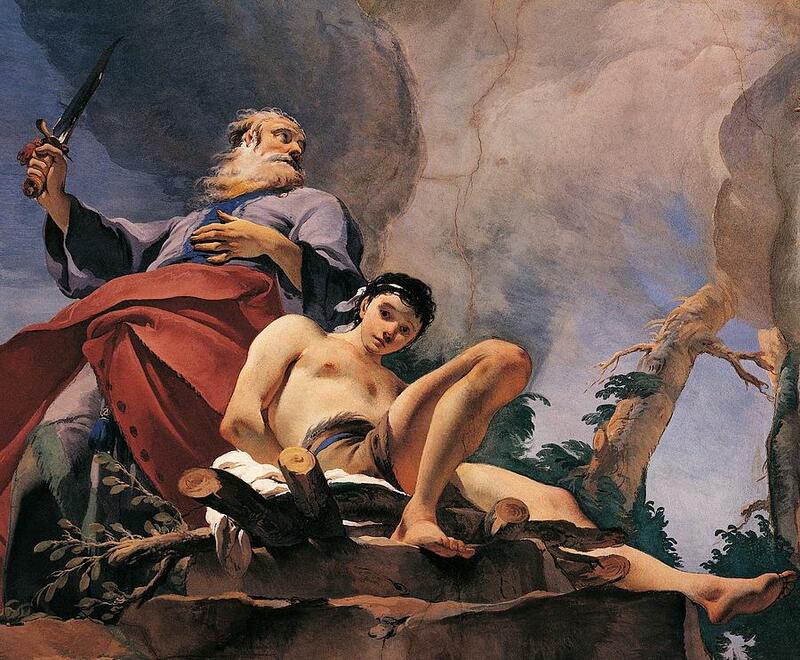 Why did God command Moses to make a bronze snake and turn his staff into a snake? Q. Why would God command Moses to make a ‘brazen’ snake, and also turn his staff to a ‘snake’ to represent His authority and power? God gave Moses the power to turn his staff into a snake as a sign to authenticate his ministry before the Israelites. 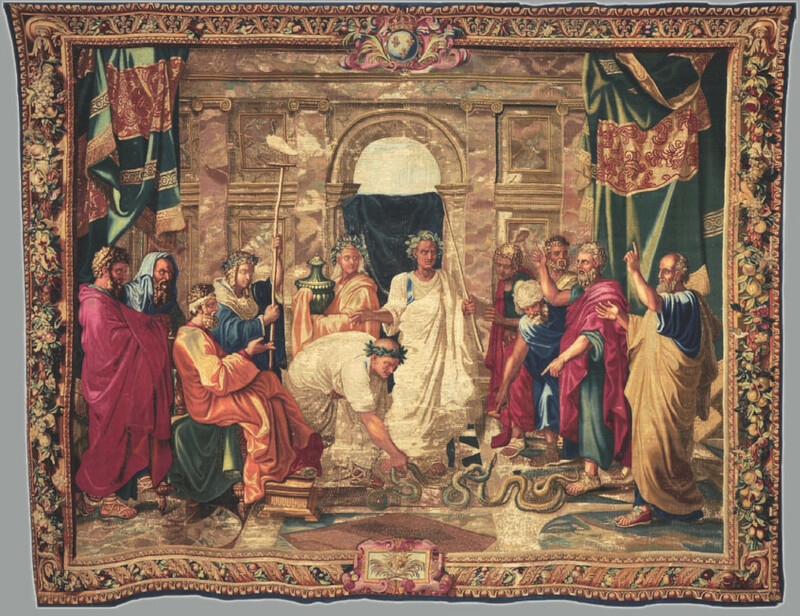 But I’m not sure that the snake itself represented the authority and power of God, or of Moses as God’s emissary. We find out shortly afterwards in Exodus that this was the kind of sign that Pharaoh’s magicians were also able to do, and when they pitted their arts against Moses, his snake consumed theirs, showing that God’s power was greater. But once again, I don’t think we need to look for symbolism in the snake itself. I also don’t think there’s necessarily a connection between God giving Moses the power to turn his staff into a snake and God commanding Moses to make a brazen (brass) snake and put it on a pole. The simple purpose of this was to provide a visual focal point for those who wanted to turn from their rebellion against God and trust Him for healing from the poison of the snakebites. If there’s any connection between the two incidents, it’s that venomous snakes are dangerous and potentially deadly; that’s why the magicians chose to produce them–to make a memorably scary impression on their audience–and that’s why God used them to send a plague among the people. In other words, at least as I see it, just because there are snakes involved at two different points in Moses’ ministry, there’s not necessarily a symbolic significance to them, or connection between them, beyond their plain role in the narrative. A good interpretive principle to apply is not to look for symbolic significance in, or attribute it to, an element in narrative unless the text itself points you clearly in that direction. Author Christopher R SmithPosted on January 8, 2015 January 20, 2018 Categories Redemptive HistoryLeave a comment on Why did God command Moses to make a bronze snake and turn his staff into a snake? Q. Why did God want human sacrifices, for example, Isaac and Jesus? In my first post in response to this question, I showed that the clear and consistent teaching of the Bible is that God does not want human sacrifices. Now in this post I will consider the cases of Isaac and Jesus, which might appear to be exceptions. In other words, this episode from the life of Abraham was recorded and retold in the Scriptures precisely so that later generations of Israelites would follow the example in the story and offer the animals God had designated as acceptable sacrifices, instead of their own children. The need for this example is understandable. The surrounding cultures were offering human sacrifices, and the Israelites might otherwise have felt that they were not as devoted to their own God, or that their God was not as deserving of costly devotion as other gods, if they did not do the same. The death of Jesus is so rich in meaning that in the Bible and Christian theology it is described and explained in many different ways. Each way brings out a different facet of its significance. One common understanding is that our sins and wrongs against God and other people were so serious and destructive that they were deserving of death. But Jesus willingly accepted the death penalty in our place, satisfying the justice of God. This is the sense in which he “sacrificed” himself for us. But there are many other understandings of the meaning of Jesus’ death as well. Perhaps the one that comes closest to what ancient cultures were trying to accomplish through human sacrifice is the idea of “propitiation.” This term refers to the act of doing something generous for, or offering something valuable to, another person in order to change their disposition from hostile to gracious. (The term comes from the Latin word propitius, meaning “gracious,” “favorable,” or “well-disposed.”) The idea is that Jesus’ death on the cross was a precious gift to God that won His favor. Accordingly John writes in his first epistle that Jesus is “the propitiation for our sins, and not for ours only but also for the sins of the whole world.” Later in this same epistle John elaborates to say, “In this is love, not that we have loved God but that he loved us and sent his Son to be the propitiation for our sins.” In other words, God himself provided the gift that won back His own favor for us! We should note, moreover, that what made Jesus’ sacrifice such a precious gift was not that it embodied the value of a human life, not even that of the long-awaited Messiah, as opposed to some less valuable offering. Rather, it was the spirit of obedience, humility, generosity, and especially love in which Jesus offered himself that made his sacrificial death so pleasing to God. And so we can see that the cases of Isaac and Jesus are not exceptions to the Bible’s consistent teaching that God does not want human sacrifices. When we do consider them, however, these cases reveal more about what God has done for us in Christ. 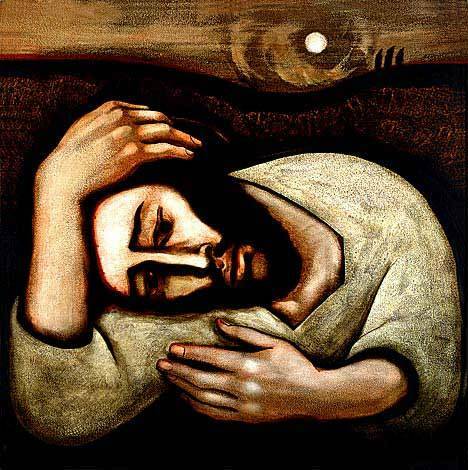 Christian interpreters, in fact, have long seen a foreshadowing of Jesus’ incarnation and self-sacrifice in Abraham’s statement to Isaac that “God himself will provide the lamb for the burnt offering.” As Micah said, in the words I noted last time, God does not want me to “offer my firstborn for my transgression,” or “the fruit of my body for the sin of my soul.” God himself, in Christ, has graciously made all the provision any of us needs to be forgiven and restored. Why did God want human sacrifices, for example, Isaac and Jesus? Actually, the clear and consistent teaching of the Bible is that God does not want human sacrifices. I’ll demonstrate that in this post, and then in my next post I will consider the two cases you mention and explain why they are not exceptions. So the biblical teaching against human sacrifice is clear and consistent. Why, then, did God say to Abraham, “Take your son, your only son, whom you love—Isaac—and go to the region of Moriah. Sacrifice him there as a burnt offering on a mountain I will show you”? And why is the death of Jesus so often described as a “sacrifice”? I’ll explore both of these questions in my next post. Author Christopher R SmithPosted on November 17, 2014 January 20, 2018 Categories Redemptive History1 Comment on Why did God want human sacrifices, for example, Isaac and Jesus?